And it is my own fault. Sort of. For the past four and a half months I’ve been working mainly on Form F assessments – the process by which people become foster carers. I have never done more than 1 Form F at a time – but since January I have been working with 5 prospective foster carers. Form Fs are intense pieces of work – you ask deeply personal questions about the applicants’ childhoods and life experiences and have to draw out any insights into how they will respond to challenging situations with vulnerable children. On Wednesday last week I took three of my five applicants to Panel, where I was questioned about whether I thought they would be good foster carers. They were all approved…after 5 and a half hours of me being grilled! Since then though, I’ve felt so weary and awful. I feel like over the past 4 1/2 months I have used more than my allocated energy supply, and I need to catch up again. I definitely had no enthusiasm at the end of last week, and yesterday I started feeling ill. Properly ill. Raging sore throat, hacking cough, thumping headache and trouble breathing type ill.
On top of which, today I probably had one of the worst and most horrific days of my career and I generally just want to curl up in bed and sleep for several days. Preferably through til Friday, so I can wake up and feel well and enjoy the Bank Holiday weekend? Not an option though. Work calls. However, experience tells me that unless I do actually stop and rest, I will take ages to get better. I’ll have a lingering cough, repetitive headaches and just generally feel meh (technical term) for weeks, rather than days. Common sense says take a sick day – but I just can’t. 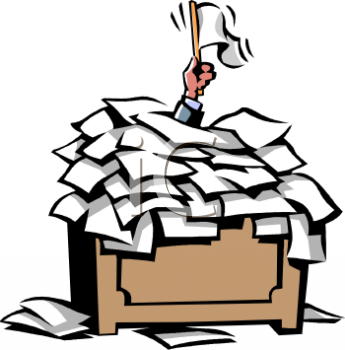 There is too much to manage and if I were to be absent, things wouldn’t get done. It sounds big-headed but it’s true – in a small company, everyone is needed and valuable. 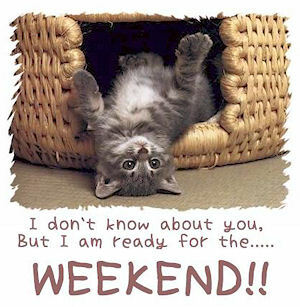 So, I have to persevere and just wait for the weekend. I have no plans…just to rest. I am unbelievably excited…in an understated, can’t breathe without coughing, can’t cough without hurting, type way. Oh boy, do I ever need a holiday!! This time tomorrow I will be pootling down the motorway towards Plymouth for a weekend at home, and then on Sunday Mum and I are jetting off to Majorca for a week. I genuinely cannot wait! This week has been exhausting, and I’m still recovering after giving blood on Monday. I think my iron was a little low because I was very woozy the whole day afterwards and have just felt wrung out since then. Of course, that could just be the fact that work has been insanely busy running around after foster carers trying to meet their unreasonable demands and cleaning up various messes that needn’t have been created in the first place. A week in the sun will be just the ticket, I think 🙂 And I’ll get another few items ticked off the Bucket List. I’ve already made a good start – over the weekend I went to the garden centre and bought some veggies to grow – I now have a cute balcony garden with cherry tomatoes, ronda carrots, sweet banana peppers, garden peas and strawberries all growing merrily outside my window and making me smile. My plants enjoy the rain, which is fortunate since we are having a lot of it. However average temperatures in Majorca are about 28-32 degrees so OH WELL England, I’m going to be off getting a tan!! I am so thankful for days like today. I feel like they are a reminder that God knows exactly what I need, and more than that, he loves to give it to me. This past fortnight I have worked my little socks off, since 8.55am on Monday last week I’ve been on overdrive and today was my first chance to just sit down and take a breath. I can’t really explain why the past two weeks have been so hectic, due to nature of my work…but I can say that I’ve worked 16 hours overtime, and driven over 600 miles for work reasons, which should give you a pretty good idea of what it’s been like. So hooray for Saturday, that’s what I say! This morning I had a bit of a lie-in, and finished my latest book (Lullabies for Little Criminals) and then got ready for my first boot sale. I loved going to boot sales as a kid but I don’t remember ever “working at one”. It was exciting; a few weeks ago, a friend of mine at my small group mentioned that she was thinking of doing a boot sale as she had lots of bits and pieces from her uncle’s house – he died a few months ago. I got interested because she said she needed help organising it – of course my ears pricked up at this! I offered to help and said that I also had some stuff we could sell – somewhere along the way the idea evolved into collecting goods from people at church, and doing the boot sale as a fundraiser for our church building project. I was completely amazed, I had no idea we’d sell such a lot; we underpriced on some things so that they were more likely to sell but I’m sure we could have charged slightly higher prices and still sold. Nevertheless Lyn, her husband Pete and I had a very successful few hours and Lyn is going to write the cheque for the church building account tomorrow! We made it up to £100 with change that we each had, and with Gift Aid the church will get around £125 from our few hours’ work. Listing it all like that makes it seem like a lot, but I promise it has been restful. Right now I’m watching Murray v Baghdatis, and hoping that they don’t get special dispensation to continue past 11pm because I’m tired and I want to watch the end before I go to bed!! I just got asked to cover someone on creche tomorrow so need to be up at a reasonable time…no snoozing for me. Wow. It’s been months since I last posted. Life has been a little (well, a lot!) crazy. (That’s really bad grammar right there!) I won’t be boring and post a super-long explanation of all that’s going on, so here is a summary. Right now I’m in Devon, staying with my lovely mum for some much-needed TLC. Why ‘much-needed’? Well…it turns out, and this is a real shocker, I am not super-human. Bummer, huh?! That’s a shorter summary than I intended. And, also a little more flippant, cos what’s really going on in my life is a bit more heavy-going. I kind of had a little meltdown, and got completely exhausted and overwhelmed with just about everything; to the extent where I had to be signed off work for two weeks (which has been extended for another two weeks, so a total of a month off). I got to the stage where I couldn’t even feel happy when I woke up in the morning, because I knew the day that was ahead of me would just be jam-packed full of stuff, that I just couldn’t deal with. I think the’technical term is “burn-out”, which lots of people – mostly ex-Impactors – warned me against; but me, being me, thought I was totally above all that and I had it sorted. Don’t get me wrong, I absolutely love the stuff that I do [by the way; stuff isn’t the best word, because I truly care about every student I meet with or disciple, and I love all my tasks and responsibilities…but I’m not gonna write a huge list of what I do]. But loving the stuff is the problem. On our first day of Impact training, Rachel Wilson gave us seven top-tips…one of which was “JESUS is the bread of life, not church.” It is so easy to completely pour myself into all the stuff, and run around like a crazy person, and then fall into bed at whatever-o’clock, feeling absolutely exhausted and having spent no time with God in that entire day (except for maybe a rushed “please God, give me energy right NOW!” prayer) and tell myself that it’s ok, because God created me and made me a servant-hearted person, only to wake up a few hours later and do the whole thing again. I have always been the “go-to” person: the one that my friends went to for advice, and help…because they knew that I was reliable, and loved them and would make myself available to them. (None of these things are bad things, by the way. They’re actually biblical, but don’t ask me for a reference) And really, I like being the “go-to” person. I like knowing that people will come to me for help, trusting that I will try to help them. I love that God has made me into that person. Here’s a question though: who does the “go-to” person get to go to? The answer is “God”, always…but also, other people (like friends and a discipler). There is comfort to be had in relationships with other people; as some person said somewhere, “a problem shared is a problem halved” – it’s an over-used phrase but it’s true. Even though I know that, I struggle so much to actually put it into practice. It’s very hypocritical really, because I disciple five amazing young women – they are beautiful and fun and striving to be Godly, and I’m there telling them that they can call me anytime to chat and pray, because God gave us these relationships for our own good – but then in my own relationships I refuse to make myself vulnerable because I’m scared that people will think I’m weak. How can I expect my girls to be vulnerable, and honest, and accountable to me, and to lean on God, when I am leaning completely on my own strength rather than his. There is a happy point to all this, I promise! Being signed off was a big wake up call, and showed me that I need to start making changes and breaking down the walls that I’ve put up around myself – because ultimately they are hurting me and they are hurting God; because me burning myself out by doing everything in my own strength is really not glorifying to him at all. We need rest, and sleep, and time that is just for God and us. Somewhere along the way I forgot how good my God is; that he is a King who brings rest and sustains all things (including me) but I’m remembering now.